Other than getting chip in the windshield 6 minutes after leaving the dealer's lot, I am pleased. twospirits, LittleRedJeep, Thorpeland and 1 others like this. Awesome! By black TH should be showing up tomorrow or Saturday so I love the sneak peek. Hello and welcome aboard! 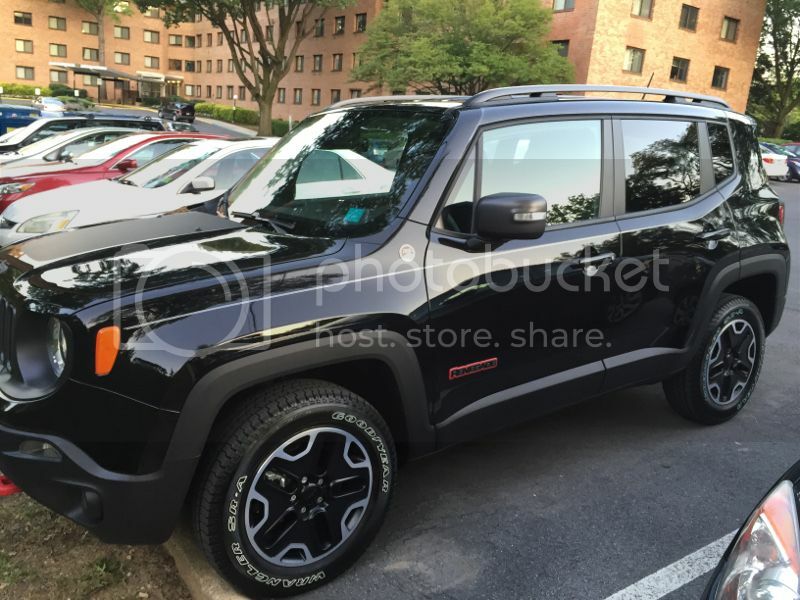 Congrats on your Jeep, it looks perfect! 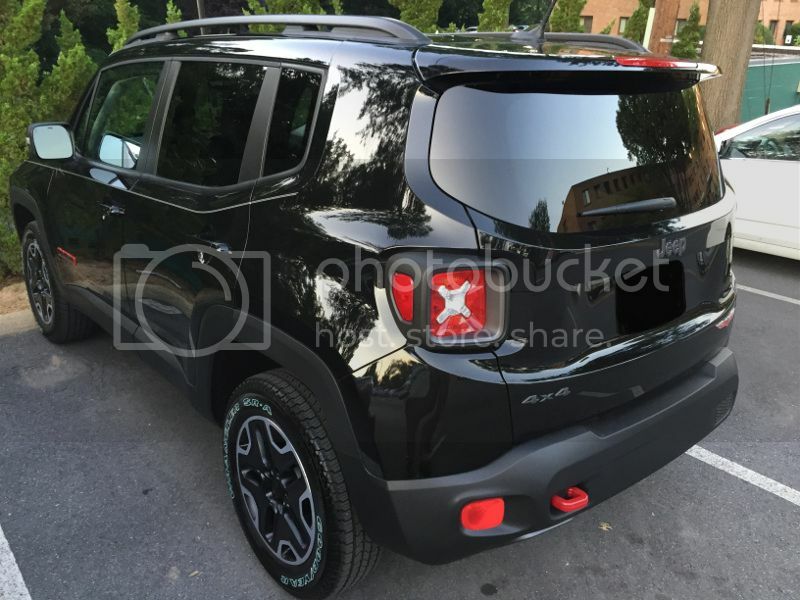 Do you have any mods in mind yet or you plan to keep it stock? A lot of good info here regarding mods in case you are thinking of doing any. Check out some of the garages and you may get some ideas. Dealer gonna take care of that for you I hope? looks great in black, congrats and welcome to the boards!! Just some goodies that I ordered from CARiD so far, actually. 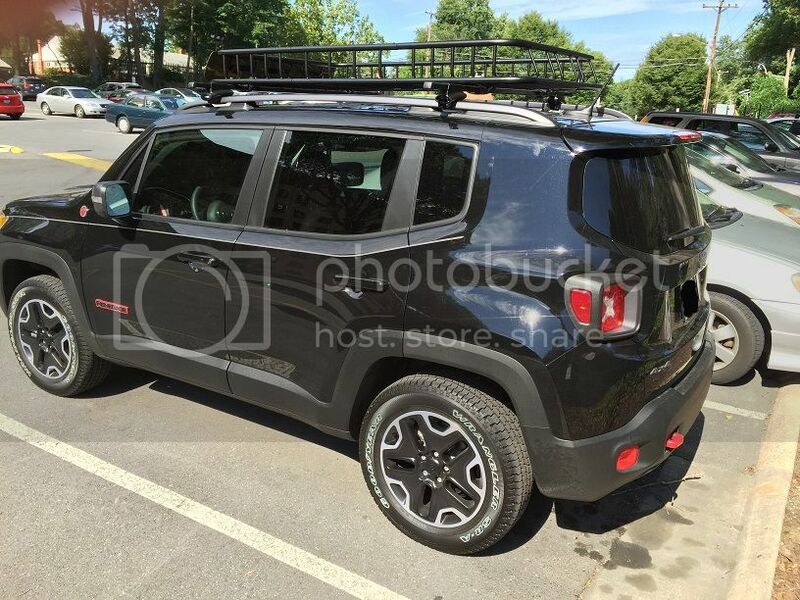 I got Thule Cross Bars and a SportRack Rack & Extension. My next round of stuff will include the rest of my recovery gear (Hi-Lift, Straps, etc.). What I really need is to get it DIRTY! Hearing "Nice Rack!" makes me giggle, 'cause I have the brain of a 12yr old, despite having a body 4x that old. Looking at the photos, it seems I have the plastic air dam dogged down a tad tight! Beerwolf70, LittleRedJeep and Thorpeland like this. [QUOTE=AlbinoRhino;262066]Just some goodies that I ordered from CARiD so far, actually. 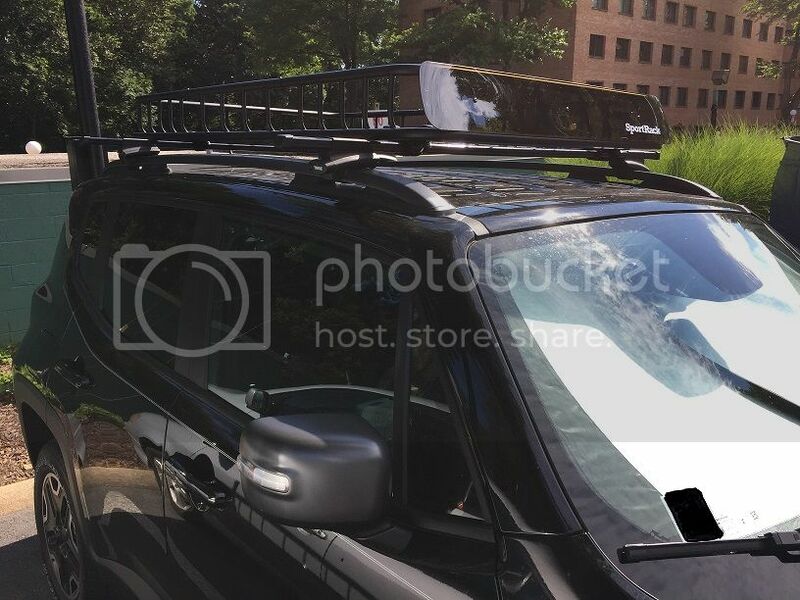 I got Thule Cross Bars and a SportRack Rack & Extension. My next round of stuff will include the rest of my recovery gear (Hi-Lift, Straps, etc.). What I really need is to get it DIRTY! I too have a black TH and this looks awesome! I need to get cross bars myself to carry Kayaks and was looking at a basket too. If you dont mind me asking can you please post the links to this setup? LittleRedJeep and Thorpeland like this.